love this 'secret' spot hidden in the middle of the flower district. delicious coffee and a pleasing aesthetic. the baristas are all lovely and you can peek into the design showroom in the back! 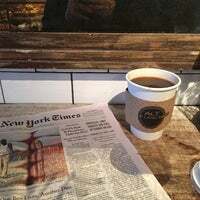 Tucked along the flower district, a cozy cafe serving their original ALT beans roasted in Brooklyn. Parisian interior and tasty pastries. There is a interior showroom in the back too! 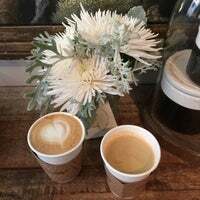 The decor is beautiful and the coffee is the best in this area. Brewed fresh and individually so it's guaranteed to be delicious. Love it! This place is pretty awesome - especially in the cookie black hole of NoMad/Chelsea/Flatiron. The baristas are very nice and knowledgeable. Definitely a win. I love this place! ALL the coffee is good. 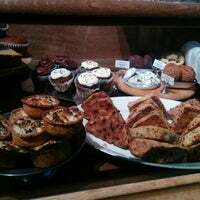 Also, the baked goods are sourced from a wide variety of yummy places around the city. you can't go wrong with anything here. but it's tiny so shhhhh!! i am obsessed with the coffee, cookies, candles, mugs - everything! Creamy latte, beautiful decor, but keep in mind if you're looking for a space to sit with your coffee, they only have two bar-height stools. 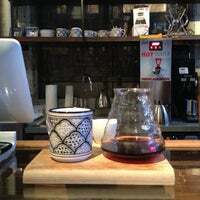 Awesome little coffee shop.. Great baristas that create some good brews.. Recommend the chocolate scone. A few stools. The cold brew is outrageously good. They also make some of their awesome pastries bite-sized ... So I tried two. Good selection of quick snacks: quiches, croissants, cookies, sandwhiches. And good espresso that they roast locally! 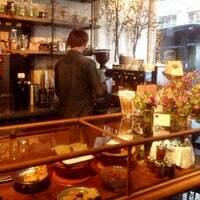 One if the most beautiful of tiny coffee shops I've been to in NYC. And the coffee is good and hosts very friendly! Get the pistachio loaf bread. It's no joke. Best loaf bread I've had in my entire life! 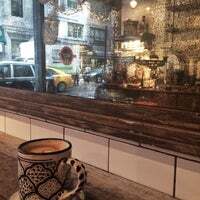 Cute cozy cafe! Hidden in the flower district. Latte was good, friendly barista ! Absolutely delicious mocha! They use coffee ice cube or milk ice cubes as to not water down. Their coffee is amazing. Guillermo and Ayla are one of the nicest baristas you could meet. 커피가 맛있어요!!! 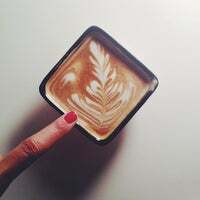 very tasty of coffee here. love it! Gotta get their iced cappuccino. They used frozen coffee for ice cubes so your drink doesn't get diluted when t melts. Really cute little cafe with tasty coffee, I recommend the drip. 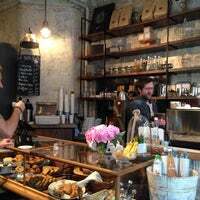 Best little coffee shop #Chelsea. Pop in for an almond milk latte or cappuccino. Iced Oatly latte - delicious! And super friendly baristas! They have gluten free salted chocolate chip cookies, great to grab and go! Sweet little fancy coffee spot strangely positioned at the front of a home furnishing store. Awesome coffee, only three bar stools for seating tho. Their iced latte is amazing, even in the winter. They have coffee ice cubes for iced coffee! Best iced coffee in the area, very cool ice cubes! 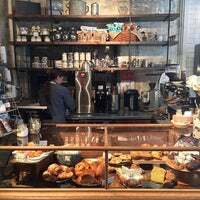 Really solid coffee and awesome baked goods! 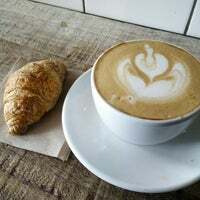 Great coffee, good service, delicious pastries! Croissant stuffed with spinach, feta and tomatoes! Great iced lattes, cappuccino's and cookies. Great addition to the neighborhood. 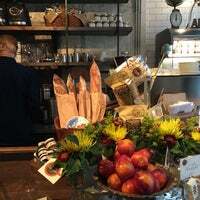 Delicious French coffee and pastries. A bit pricey but well worth it. After drinking coffee from Alt it is hard to go to Starbucks! Super cute shop. All the right accoutrements. 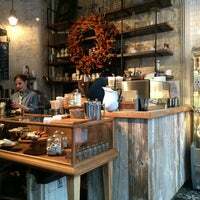 An espresso & coffee bar in the heart of NYC's Flower District. 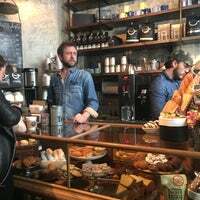 "This is my favorite coffee shop in Chelsea. 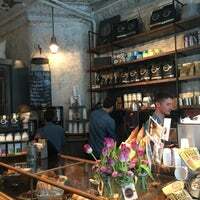 Excellent coffee, perfect place to catch up and have a conversation. No laptops though :("
"If not too hungry, instead of avocado smash with all toppings for $13, get Balthazar toast with avocado & vegemite $8 & add poached egg $3. Toast slices are huge. 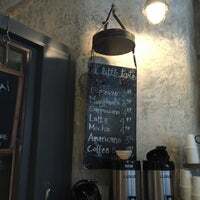 Best coffee in area with almond milk"
"If you're looking for an excellent cookie then be sure to stop by and try the Dark Chocolate and Sea Salt Chocolate Chip Cookie. It's thick, chewy and packed with rich chocolate goodness." "Can't go wrong with any of the peanut butter glazed donuts. Especially blackberry jelly and banana cream filled." "Get the lunch combo! I enjoyed Hawaiian and Pork omusubi with Kinoko miso with a side of potato salad and pickled vegetables"